Marc Weinberg, a partner of Saffren & Weinberg — a general practice and workers’ compensation law firm located in Jenkintown, PA — is one of the leading attorneys specializing in social security disability insurance practicing throughout Pennsylvania and New Jersey. Marc Weinberg’s main practice area’s include personal injury and employment litigation. In addition to these, he also specializes in wrongful termination, social security and disability law, homeowners claims, and property loss. Potential clients can rest easy knowing Marc Weinberg values the strong attorney-client relationship he builds with each case he accepts. Schedule a Free Consultation with Marc Weinberg. He brings justice to clients who have SSDI claims. Contact Kenneth Saffren today for a free consultation. He will assess your case and advise you of your legal rights. Since millions of Americans apply for Social Security Disability Insurance (SSDI) or Supplemental Security Income (SSI) each year, the chances of a claim being denied are high. And the paperwork is overwhelming to say the least. So, what do you do to ensure you get the benefits you need to survive physically and financially after becoming disabled? Hiring an attorney who knows social security law is the first step. 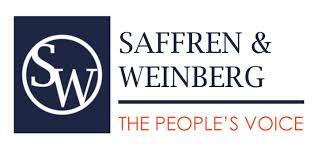 At Saffren & Weinberg, our attorneys will help you understand the application process and fight for your benefits, including lost wages and medical expenses. Although both are government programs and managed by the Social Security Administration, there are differences between the two. SSDI is available to those who have a work history. They have paid into the social security fund (FICA Social Security taxes). They must be between the ages of 18 and 65 to receive benefits and can be eligible for Medicaid after two years of receiving SSDI benefits. A disabled person’s spouse and children may receive partial benefits (auxiliary benefits). For those who have little or no work history and are low-income, they are eligible for SSI. SSI is a “need-based” program and is funded by general taxes. A person must have less than $2,000 in assets ($3,000 for a couple). A disabled person who is eligible for SSI can also receive Medicaid benefits. Also, a person age 65 can receive SSI who is not disabled but meets the financial criteria. Filling out the paperwork for a social security disability insurance (SSDI) claim can be frustrating. What’s even more frustrating is when the claim is denied. What happened? You filled out the form completely. You included your (or a loved one’s) medical records and you have proven that you cannot be gainfully employed due to your medical condition. You want to give up. But Marc Weinberg is here to help you. At Saffren & Weinberg, our lawyers know social security law. We will help you get the social security appeal process. You are being faced with a significant challenge, and we want to hear about your situation to help you determine the best course of action. The workers’ compensation cases that Marc Weinberg handles are done so on a contingency basis, meaning that we do not get paid until you either start receiving benefits or choose to settle your case. He also ensures that the insurance company does not interfere with your benefits during the process. Please contact Marc Weinberg at his Philadelphia office at (215) 309-9577, or his New Jersey office at (856) 424-4144, or email him to begin a relationship with a winning attorney who specializes in workers’ compensation.